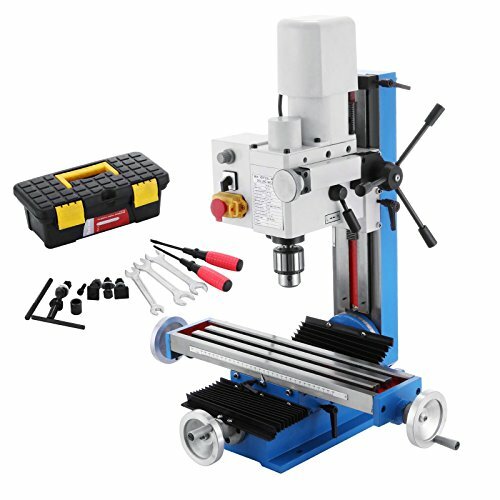 This highly precise drilling and milling machine is ideal perhaps for a smaller or more compact workshop, or simply where space is an issue. Bench mountable, the XJ9512 has a head that tilts 45° left and right (from vertical), is robustly constructed from steel. It also comes with all the necessary tools and accessories to successfully use and maintain it.There s a fine feed for milling and a coarse feed for drilling, plus an easy-to-read dial with .0001" increments so you get the right setting.